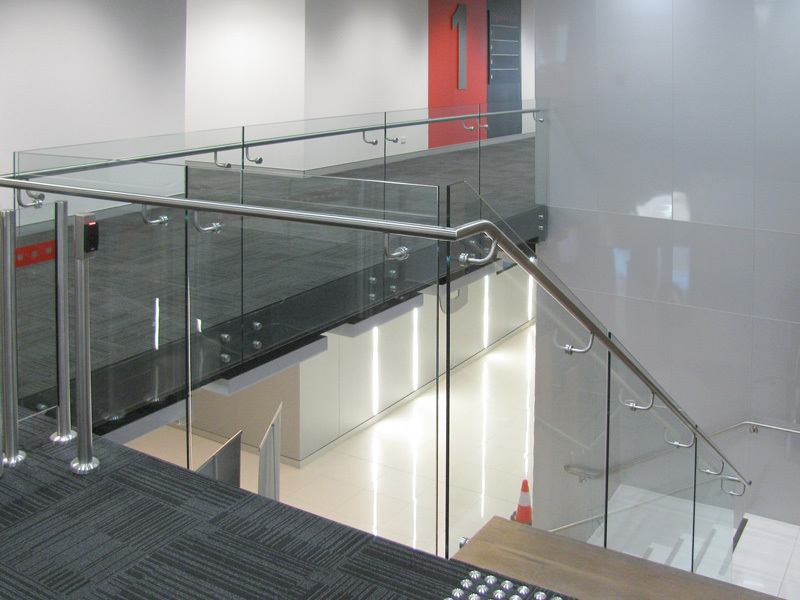 For the NEXTDC Data Centre in Sydney, Stainform manufactured and fitted a crystal balustrade for the main atrium and a glazed balustrade for the entrance stairway, accompanied with stainless steel handrails. 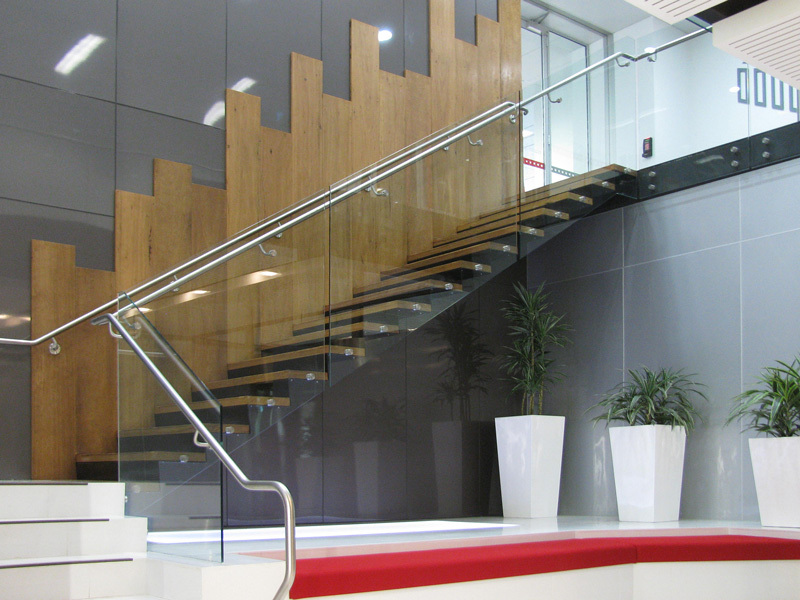 Recycled blackbutt timber wall panelling and stair treads provide a perfect complement, creating a seamless transition between levels. 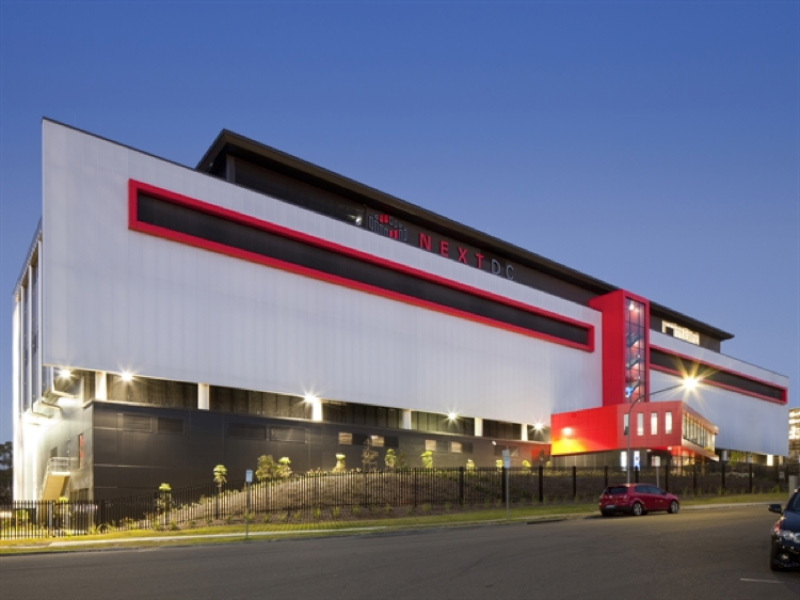 The NEXTDC Data Centre S1 is a purpose-built, enterprise-class data centre hosting several high-profile local and international corporations and service providers. 5,600 square metres of technical space are spread across five storeys, offering 11.5MW of IT capacity – one of the highest power densities in Australia.